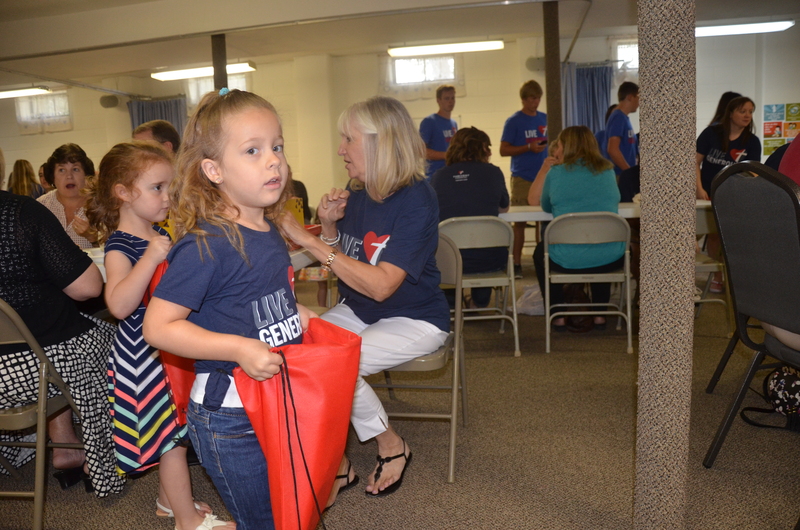 Missions was once again a highlight for Martin Luther Church! 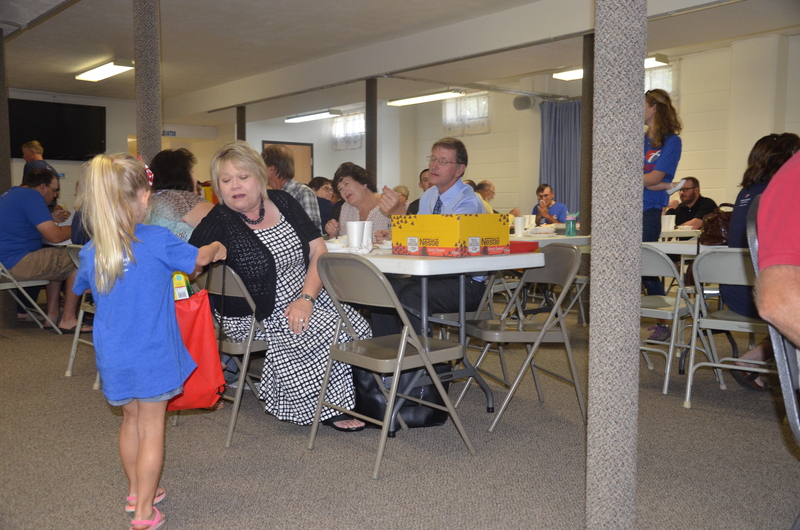 After the August 20th worship service, a lunch of smoked pork sandwiches, chips, desserts, pie and homemade ice cream was enjoyed in the church basement. 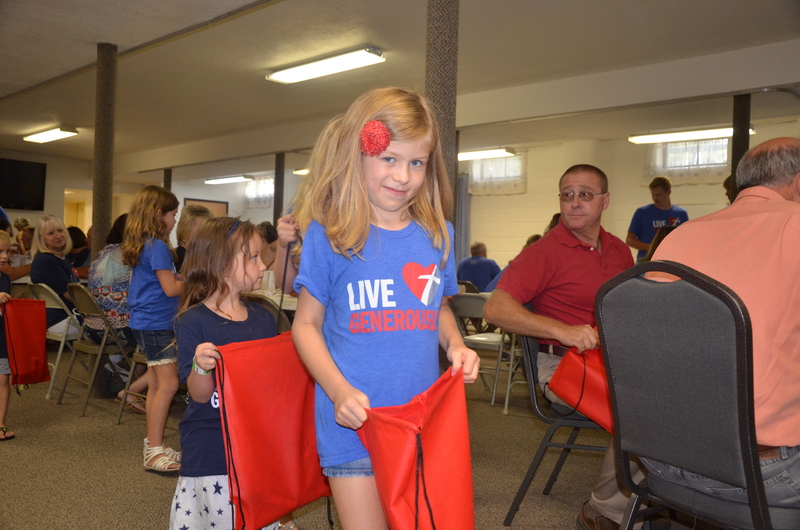 The benefactor of a generous free will offering will be the Backpack Programs at Johnson-Brock Public School and Johnson County Central Public School. We weren’t finished yet though! A second mission project was tackled after the lunch. On each table where lunch was enjoyed, there was a box filled with school supplies. One table may have had pens, while another may have had crayons, and so on. 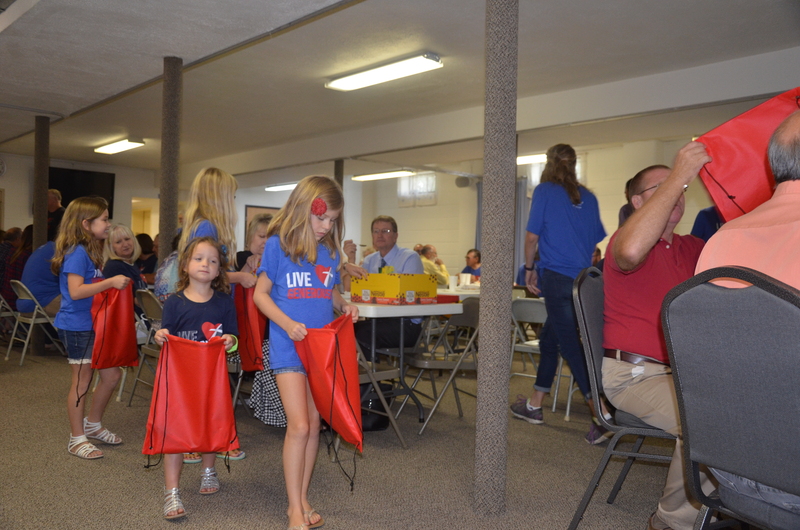 The Sunday School children started at the first table with a backpack drawstring bag and then proceeded from table to table where the adults helped by giving the children whatever school supply item was on their table to be put into the backpack drawstring bag. 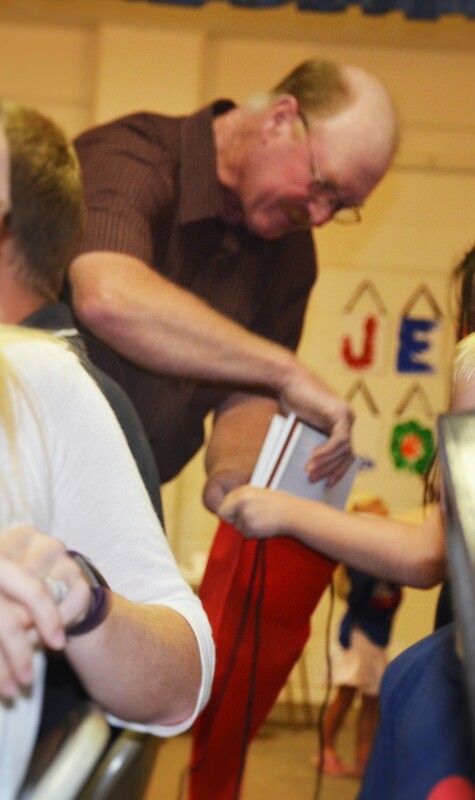 For each bag, school items that went into the bags were 4 notebooks, 5 pens, 5 pencils, an eraser, a ruler, a pencil sharpener, a pair of scissors, and a box of crayons. All of the items were collected through the month of July and half of August by the MLC members. Seventy-five bags were packed on this particular Sunday with more backpack bags yet to go. 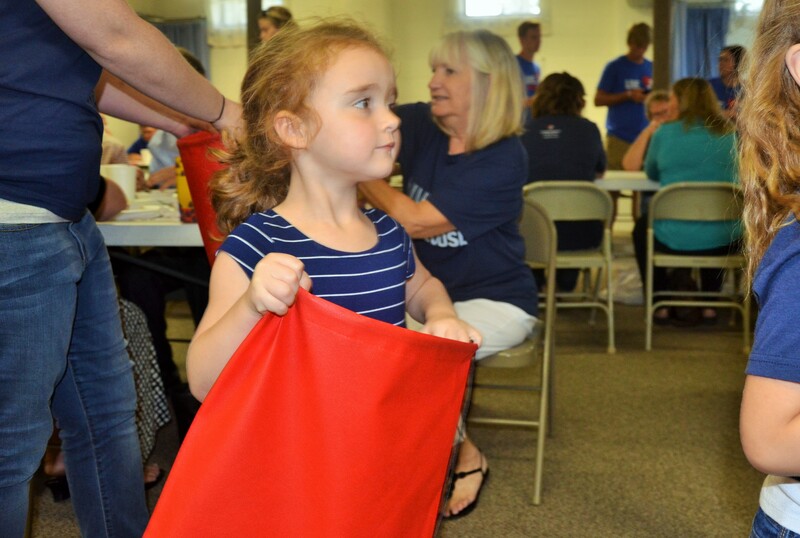 Later this fall, the school kits will be shipped world-wide by Lutheran World Relief and Orphan Grain Train. In many parts of the world children who don’t have school supplies cannot go to school and the school kits packed today will be appreciated by those in need. As an extra local mission, MLC also likes to take extra school supplies to our local schools. 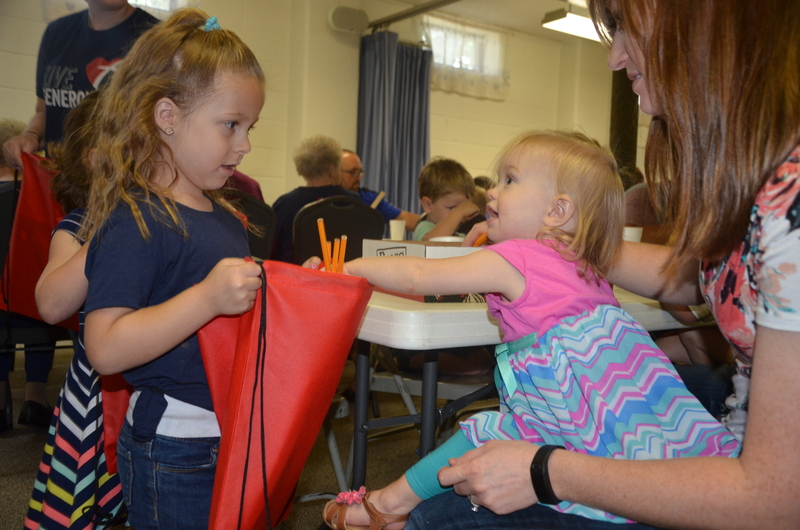 The final counts on the School Kits were 81 for Lutheran World Relief and 30 for Orphan Grain Train. 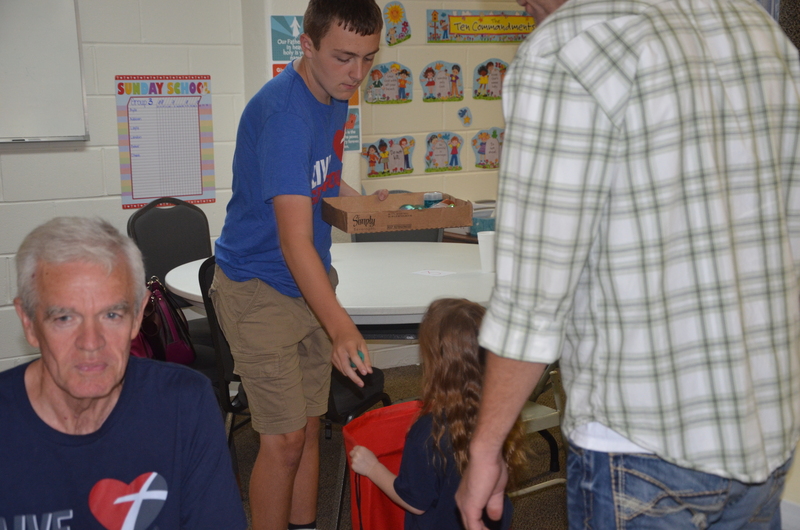 The Sunday School children as well as the adults enjoyed helping with the Mission Project! MLC – This little light of mine …. we’re letting it shine!